Among the tapestries and paintings of the lords keep, there hangs a mighty sword known by all for its beautiful, dragon-shaped guard. 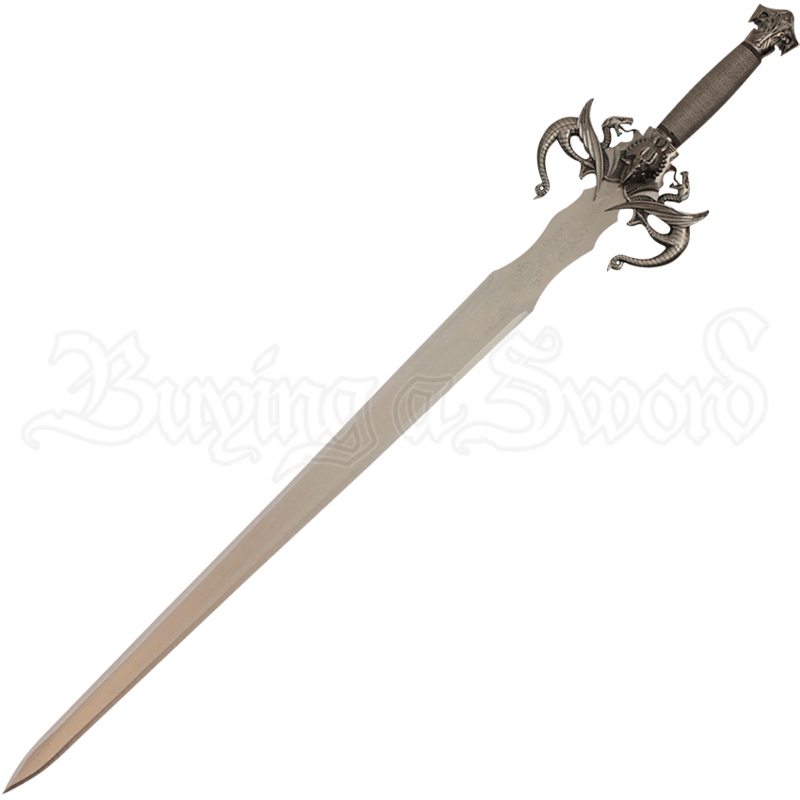 The Dragon Guard Sword with Plaque depicts this elegant weapon on a wooden plaque for your home! This elegant stainless-steel blade is long and straight, with slight curves near the guard. 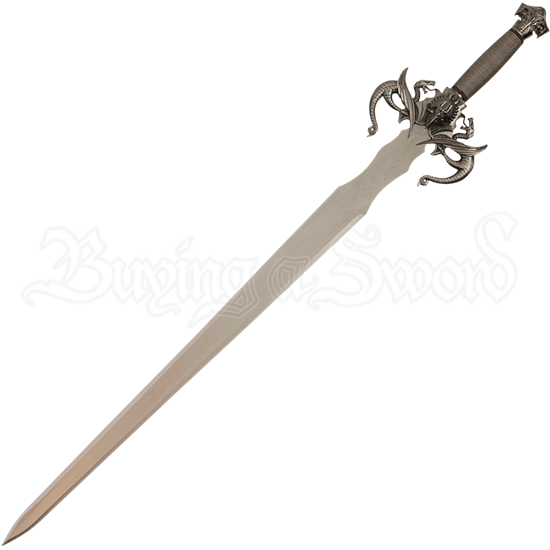 A floral pattern has been lightly etched into the blade of this epic sword near the hilt. The crossguard of the sword is crafted from cast metal to depict two winged dragons, their tails pointing toward the tip of the sword, roaring on either side of a triceratops head centerpiece. The hilt of this beautiful sword is wrapped in golden colored steel wire, and the pommel possesses a hammer shape decorated with the profiles of birds of prey. Decorate your home with this elegant medieval display piece, or give it to a fan of medieval decor or swords as a special gift!